The store cattle trade has slipped slightly as farmers swap the sales ring for the parade ring at Galway. Kilkenny mart reported an easier trade for plainer type cattle. The overall trade was similar to last week reported George Candler, Auctioneer, but he said that the plainer lots tended to be back. 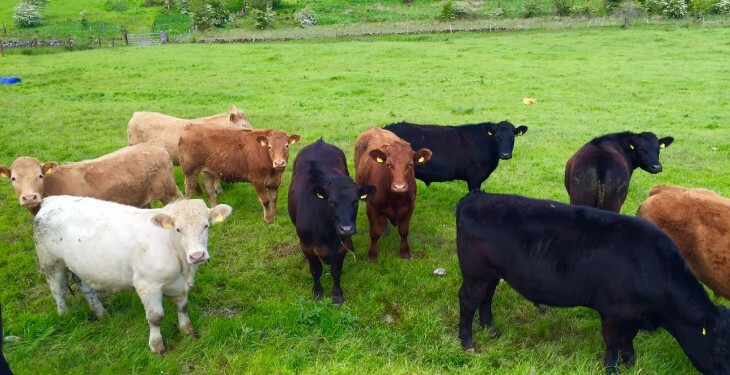 “The trade is similar to last week though plainer cattle tended to be cheaper, cattle numbers are smaller as farmers are taking their holidays at Galway”, he said. The hammer fell for lots of forward steers at €1.90-2.30/kg while the weaning bulls sold for €2.00-3.01/kg or €350-800 over. Their counterpart weaning heifers sold from €1.90-3.35/kg. Beef heifers made €2.00-2.90/kg or €620-1015 over, while forward store heifers sold from €2.00-2.50/kg, he said. Candler added that customers selling fat cattle are showing the most activity around the ring. Cull cows also remained in a firm trade at the Kilkenny venue. Friesian type cull cows sold for €1.40-2.00/kg while the continental types made €1.60-2.25/kg. 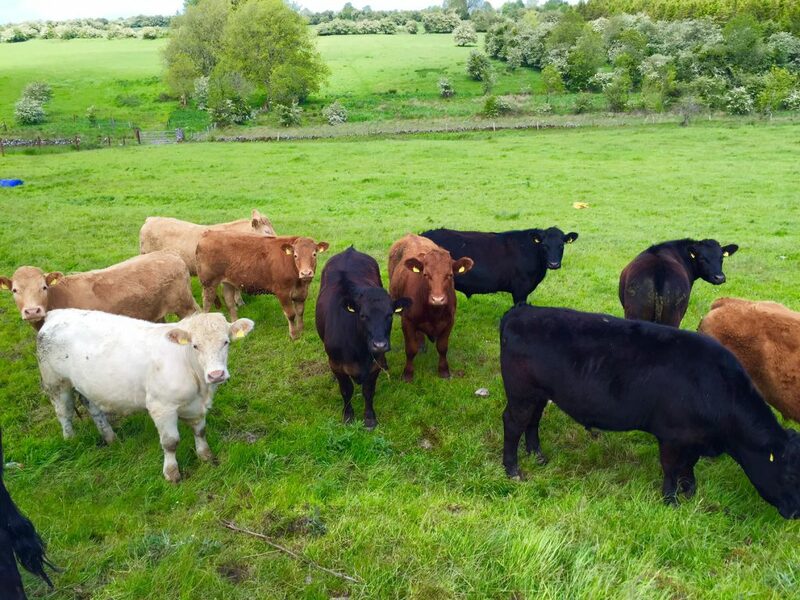 There were 650 cattle on offer in Castlerea on Thursday and despite the inclement weather trade was maintained for most lots. Mart Manager Brendan Egan reported that there were bigger numbers of bullocks and heifers on offer. “The heifer trade was very lively while there was also a good clearance of bullocks despite the recent dip in prices for plainer lots,” he said. Strong prices were also achieved for the top quality lots of breeding stock and weanlings, he reported. There was a small number of cows and calves on offer and they sold from €1,200-1,650. The cull cows also met with strong demand with lots selling for €2.04-2.48/kg, he said. Forward steers sold from €2.00-2.92/kg while the good quality weaning heifers also met with good demand, with the hammer falling on lots for €2.52-3.13/kg, he added. Raphoe mart had 300 cattle on over on Thursday. The store bullocks are back slightly reported Mart Manager Anne Harkin. She said other than the slight slip in price of stores the remainder of stock were in good demand. Top class bulls over 600kg sold for €690-1090 over. Beef bullocks and heifers made €690-1090 over and €600-905 over respectively,she said. Store bullocks made €650-1090 over while store heifers sold for €500-870 over, she reported. She added that the hammer fell on cull cows at €750-2600/head. The trade was slightly back a bit at Mountrarth reported Glenn Cooper, Mart Manager. 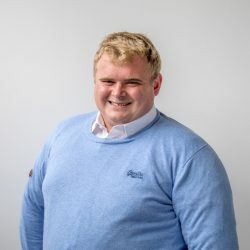 “The trade was slightly back as there were a couple of our usual customers missing from around the ring as they were at the Galway races,” he said. Weaning bulls sold from €2.20-3.08/kg at their Thursday night weaning sale while the heifers sold for €2.28-3.07/kg, he said. Is this the ultimate accessory for baling and wrapping contractors?